Elegantly lustrous jacquard fabrics, powdery-looking "Peach-Skin" fabrics. 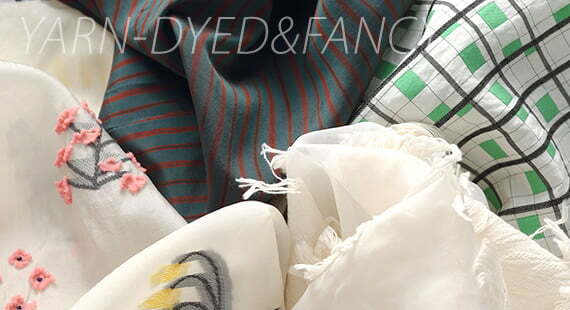 Fabrics in attractive bright colors, and fabrics with a seasoned vintage feel. Bemberg filament and spun yarn can be used in a wide range of applications, from woven to knitted materials. They can also be mixed easily with other materials and finished in various ways, opening up a whole world of new possibilities for apparel. Bemberg is comfortable against the skin. The sophisticated, natural texture of this material, which is derived from nature, makes the wearer feel as if they have returned to nature. It allows filament yarn or spun yarn to be used in various fields, from woven materials to knitted materials like jersey & tricot, according to the item or purpose. 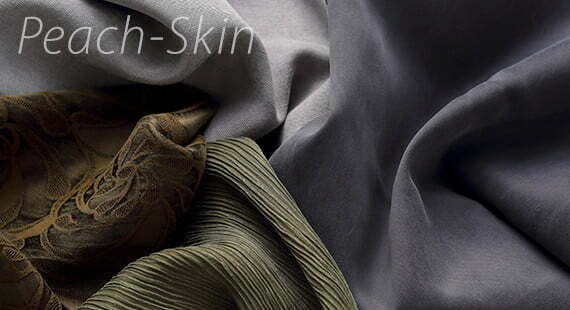 Besides100% Bemberg, it can be combined easily with natural materials (such as cotton, linen, wool and silk) and chemical synthetic fibers (such as polyester, nylon and acrylic), enabling the creation of diverse textures. 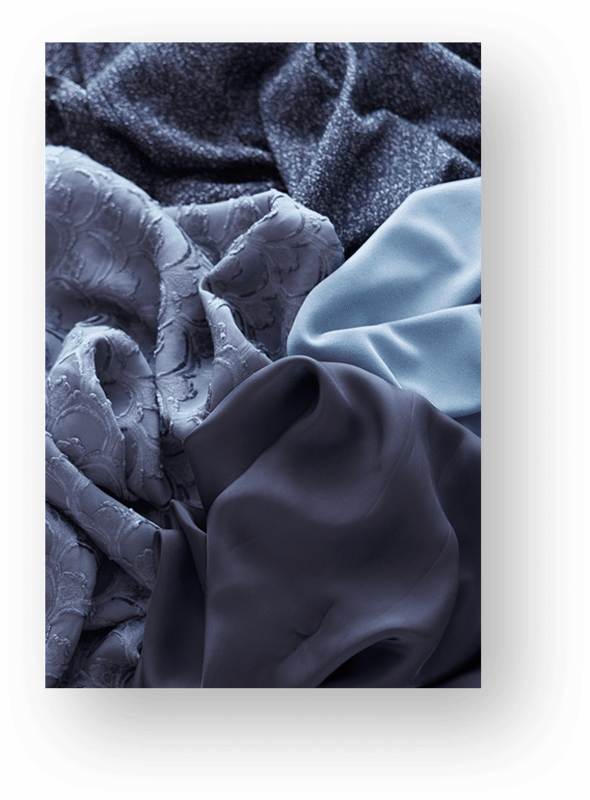 In addition, more wider variety of textures can be created with finish processing, such as fibrillation, garment dyeing & washing. Bemberg has excellent moisture absorbing and releasing properties as its basic functions, which maintain a comfortable humidity level inside clothes, ensuring that the wearer feels fresh whatever the season.It also features high standard moisture regain. This makes the material highly anti-static, alleviating problems such as uncomfortable clinging and dust adhesion. The following are representative types of Bemberg fabric. 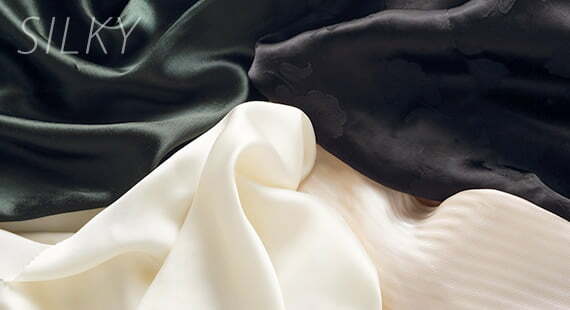 Like satin, taffetas, de Chine, and Georgette, which are made using silk, this fabric creates a roomy, flowing texture, elegant luster, and a slippery, fine, flexible texture, which results in elegance and comfort. Sand-washed fabric feels like flower petals. 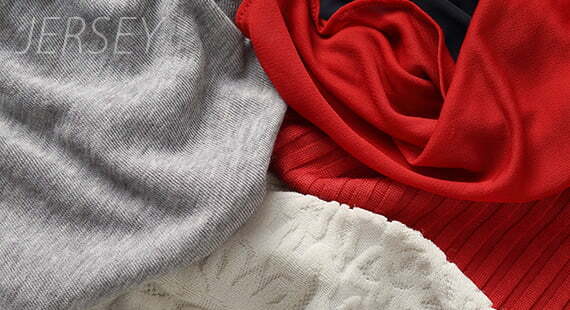 A powdery touch with a chic, vintage look turns casual wear sophisticated. 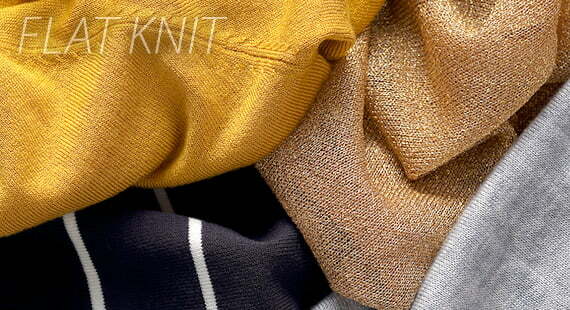 Woven fabrics with a wide variety of yarn-dyed. A delightful variety of colored designs, such as striped, gingham, checked, dobby, and cut jacquard, are delicate and sophisticated decorations. High-density stretch fabric with a compact texture and suppleness, which is good for comfortable bottom items made of gabardine, twill,and satin, with a good silhouette. 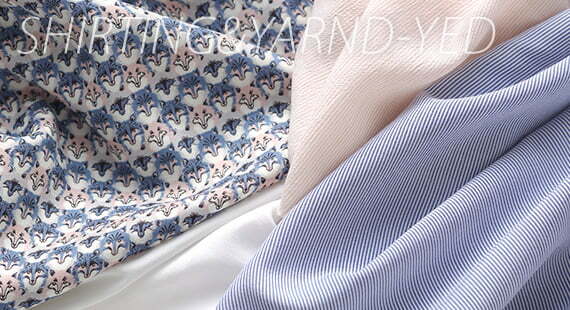 A simple shirt fabric with an attractive texture and functions. Good for stripes, seersucker, oxford, and others, this fabric upgrades wardrobes for daily use with a natural absorbent function and high moisture absorbing and releasing properties. It also makes brilliant printed patterns. 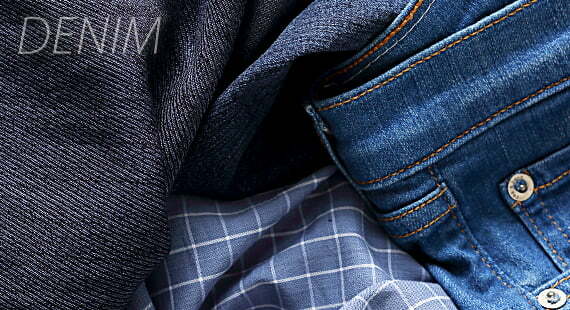 A beautiful denim with a distinctive texture and an elegant luster. Indigo denim, color denim, and dungaree. With roughness combined with superfine quality, this fabric does not make clothes coarse, but it does make them easy to wear by its super fine quality. It is also good for stylish items such as coats and tops. 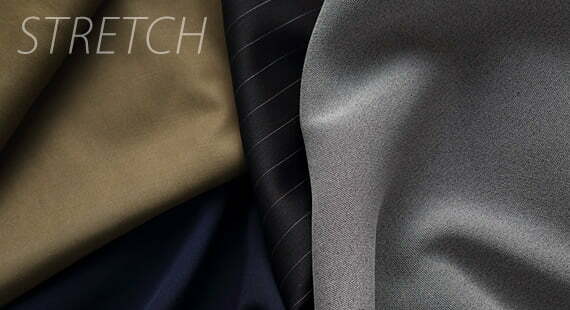 From filament materials for flowing dresses with superfine quality to stylish, spun casual items. Its moderate luster and comfortable texture are superb, allowing the wearer to enjoy the feeling of wearing a high-quality item fully. Blended with natural materials featuring superfine quality and suppleness, this knit is good for items that can be worn comfortably whatever the season. The elegant filament is utilized for soft stretch yarns, smooth, cool hard twisted yarns and combined yarns with metallic yarns among others. There are diverse production areas in Japan and other countries. Based on the distinctive characteristics of each production area, we make daily development efforts with the aim of creating optimal products. At the top of overseas production areas is Europe, where the latest trends are set. We are expanding the production areas to other regions, including East Asia, which is our major manufacturing base, and South-East Asia, which has been growing increasingly influential in recent years.